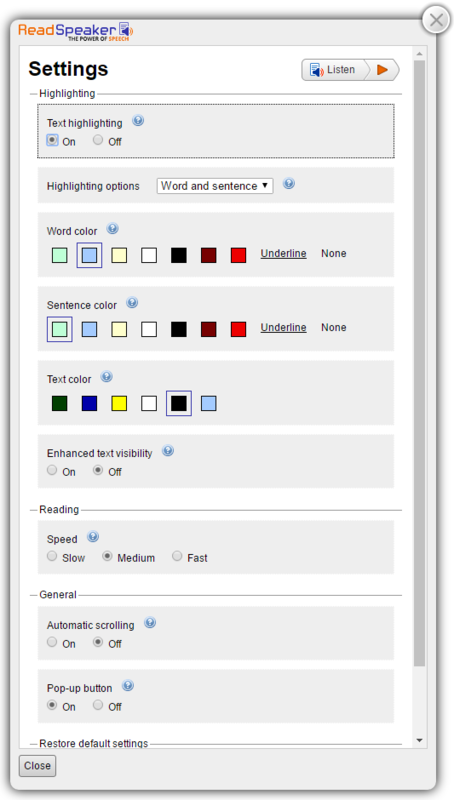 You can use one or all of the accessibility features in combination. You can also zoom in and out in most browsers by holding down Ctrl/Command and the minus or plus key. If you have trouble reading text online, you may understand the website information more easily if the text is read to you. ReadSpeaker allows the text on this Link website to be read out loud to you. This makes our website more accessible and more pleasant to visit. You don’t have to download anything to use ReadSpeaker.